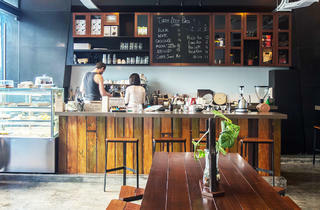 The folks behind Artisan Roast have come a long way since their humble RAW days. 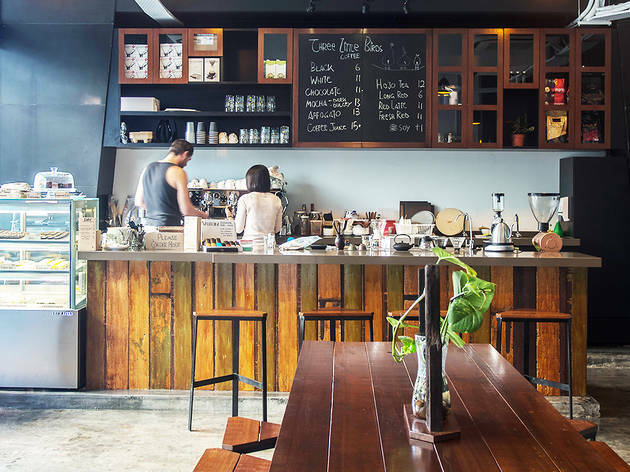 This breezy new café in Sentul’s airy D7 building is testament to their maturing style and quality. We suggest you lock your spot at the outdoor patio where vines entwine around thick ropes; for a precious while, you’ll feel completely disengaged from the city buzz. A Three Little Birds coffee blend is in the making, but take temporary refuge in a punchy Mandheling roast or other rotating single origins. If you’re lucky, coffee connoisseur Joey Mah will be your trusty barista behind the whizzing machine. Meanwhile, hot chocolates here are made using single origin Kalingo 65 percent Valrhona, superbly expensive French-imported chocolate buttons.